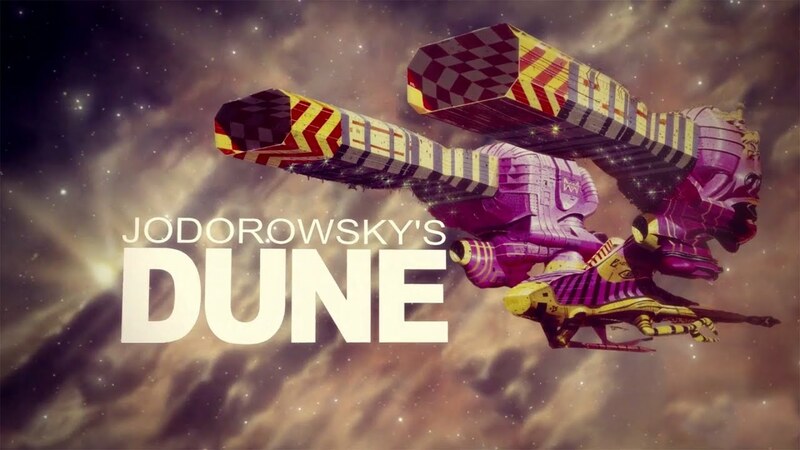 Jodorowsky’s Dune is a documentary that tells the story of the creation of the film based on Frank Herbert’s Dune by director Alejandro Jodorowsky. The film was never actually made, which was known to me, but what surprised me was the level of work that has been achieved until the moment when the director and his team realized that no studio was ready to finance the project. 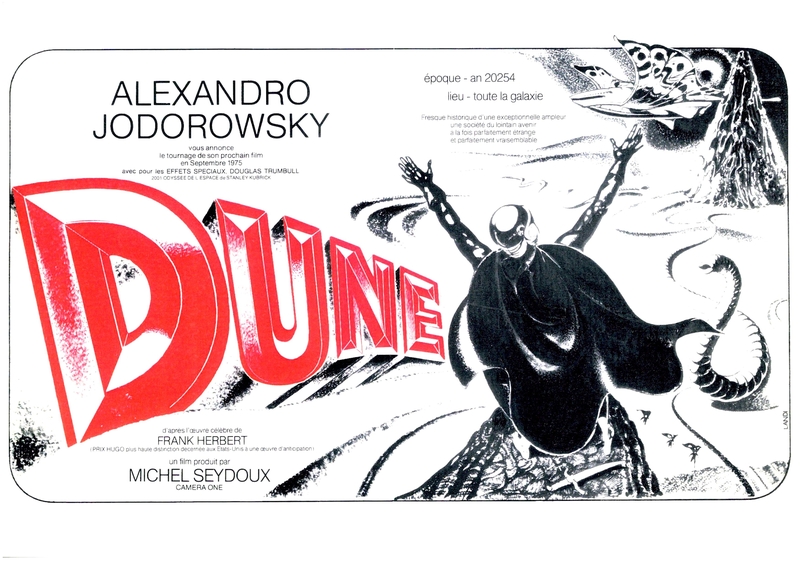 Alejandro Jodorowsky, a Chilean filmmaker, playwright, actor, author, musician, comics’ writer, spiritual guru, and a member of the surrealist movement, was the heart and soul of the project, and plays the central part in the documentary, talking about his experience working on the Dune. Watching him talk about his Dune with so much passion, one cannot fathom that this man can suffer a failure but it appears that he was actually the major obstacle to Jodorowsky’s Dune coming to life – the studios were simply too afraid of letting this extraordinary man, this force of nature, make such an expensive motion picture. This documentary is a true gem for every film, comic, pop culture buff out there. In his desire to make something amazing, Jodorowsky gathered a group of talented artists and gave them freedom to express themselves. He engaged Jean Giraud (Moebius), HR Giger, Chris Foss to work on the story boards, concept art, designs for the sets, and persuaded Orson Welles, Salvador Dali and Mick Jagger to participate as actors. The end result was the enormous book, a screenplay in the form of a comic, which contained all designs and frame-by-frame story of the film. The book was sent to every major film studio in Hollywood, heaped with praise but eventually rejected. It must have been devastating for the people who invested a significant portion of their lives to this project. However, Jodorowsky’s vision for this movie – he wanted it to be a visual and metaphysical wonder but also a consciousness changing experience – was realized in the end. Apart from the book, the work on the film also gave birth to new collaborations and ideas that found their way to other movies, including Star Wars, Terminator, Alien, and many others. Jodorowsky and Moebius worked together on Inkal, Metabarons and Technopriests. Den O’Bannon and Giger worked together on Alien. 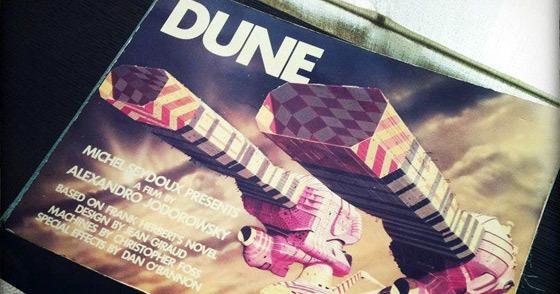 The Dune was killed, but it remained alive in many subsequent works of art, just as Jodorowsky wanted Paul in the film to die but remain alive in every person’s consciousness that he touched. That is one of the most interesting parts of this amazing documentary. Jodorowsky’s son was supposed to play the part of Paul and he underwent grueling preparations for almost three years. Jodorowsky perceived himself and everyone else who worked with on this project as warriors, which best depicts his determination and desire. In that warrior spirit, he even went to see David Lynch’s Dune when it was shown in the cinemas. Being of admirer of Lynch’s, Jodorowsky was afraid that his dream would be made by someone else, perhaps even better. He was relieved when he realized that the film was bad. That is another great scene in this documentary. Jodorowsky confesses his jealousy and joy that Lynch was not able to surpass his vision. Being a big fan of Herbert’s Dune I saw Lynch’s film several times and although I like it, I think it leaves a lot to be desired. Jodorowsky is 84 in this documentary but he is still full of life and creative energy. He gives off an impression of an incredible artist. One can only imagine what the Dune would have looked like if he had directed it. There is so much content in this documentary that it can only be described as treasure – treasure for every sci-fi fan, film lover, and comic buff. This is the first time I heard HR Giger speak, or saw some of Chris Foss’s mindblowing paintings. This documentary is really something to cherish and watch in years to come. Grade: the highest possible.